Invite Tinker Bell to your party. This Tinker Bell Jumper is the perfect choice for your Tinker Bell theme party. 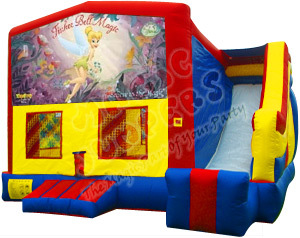 We from BounceHousesForRent.com will provide you with this new and clean Tinker Bell Theme Combo 1. Our price includes delivery, setup, and pickup within our delivery area. We serve parts of Los Angeles County and Orange County, California. Fantastic service. On time, people were pleasant and professional, exactly as described. The kids had a blast. Thanks! I had the combo jumper and the trackless train...omg...it was a hit! My daughter turned 4 years old, and she and her friends absolutely loved it! Even the neighbors were coming out of their house waving and smiling; some even asked "where did you get that?" This was one of the best birthdays ever. 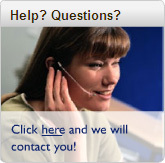 It helped that the staff at this company were friendly, organized, on-time. The train was magnificently clean with nice radiant red paint….the jumper could have been a bit cleaner….but overall this was a great experience.! I'll definitely use this company again! Thanks so much! We were VERY happy with the service we got. The driver's were very nice and professional, too. All in all, this jumper basically made the party! I will definitly use this company again and refer them to anyone looking to rent a bounce house!